Trust The Glass Guy in Shenandoah, Iowa, to provide the best in glass repairs and installation. With more than 25 years of experience, our courteous employees provide fast service and quality craftsmanship at competitive prices. Our mobile service repairs and installs both residential and commercial glass, windows, and doors, as well as shower doors and auto glass for trucks and cars. 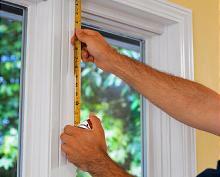 We use only the highest quality products and work with all insurance companies. Please call us for our 24-hour emergency services.